An oxygen mask provides a method to transfer breathing oxygen gas from a storage tank to the lungs. It comes with oxygen tube & reservoir bag. 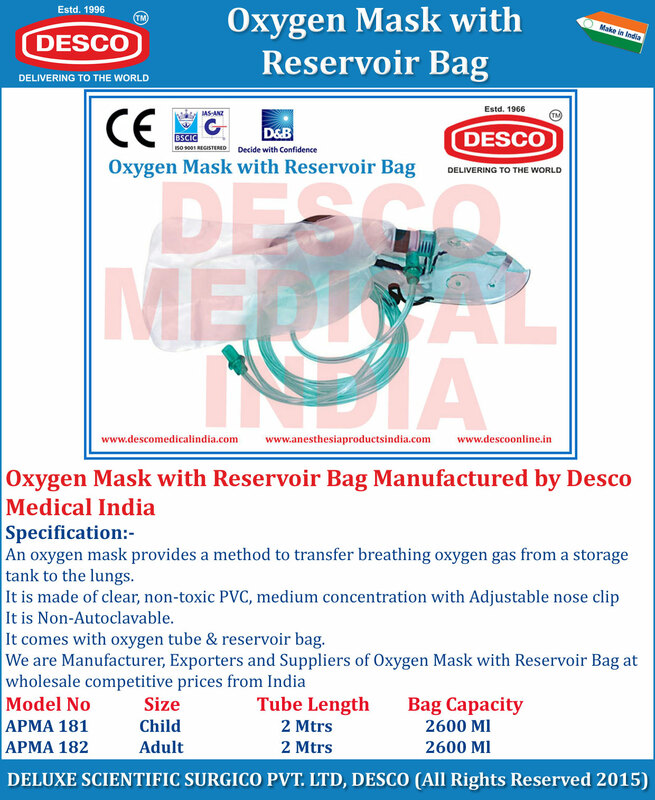 We are Manufacturer, Exporters and Suppliers of Oxygen Mask with Reservoir Bag at wholesale competitive prices from India.